Welcome to the Korgel Research Group! Dr. Korgel also directs the Industry/University Cooperative Research Center (I/UCRC) on Next Generation Photovoltaics. 03.14.2019 - Congratulations to William Sullivan for successfully completing his candidacy exam, titled "Germanium and Silicon Nanowires for Use in Water Purification", and becoming the newest official PhD candidate in the Korgel Group! 03.13.2019 - New collaboration paper! In Materials Today, 5th year TJ Jiang helps Lin et al. explore reconfigurable chirality in dielectric colloids. 03.11.2019 - Congratulations to Dan Houck and the Korgel Group for their new publication in The Journal of Physical Chemistry C, where Dan et al. use Raman spectroscopy to study the defect pairs prevalent in CIS nanocrystals and their OVC-like light-induced mobility. 01.25.2019 - New paper from the Korgel Group! In Chemical Engineering Science, Tim Siegler et al. discuss potential limitations on and prospects for perovskite-CdTe tandem solar cells. 01.25.2019 - New paper from the Korgel Group! In ACS Applied Energy Materials, Dan Houck et al. use device simulator SCAPS to simulate nanocrystal CIS devices and prescribe improvements for future work. 01.23.2019 - Another publication from Tim Siegler and the Korgel Group! Here, Tim details deliquescent chromism of nickel(II) iodide thin films, featured in Langmuir. 12.14.2018 - Check out Tim Siegler's new publication featured in JPCC, where he discusses the stability enhancement of MAPI films under high humidity using bismuth. Congrats Tim! It is known that Dodecanethiol-capped gold (Au) nanocrystal superlattices can undergo a surprisingly diverse series of ordered structure transitions when heated. In this paper Yixuan Yu, Brian Goodfellow, Michael R. Rasch and Christian Bosoy showed that in the presence of halide-containing surfactants the nanocrystals ripen at much lower temperature and superlattices undergo various ordered structure transitions upon heating. 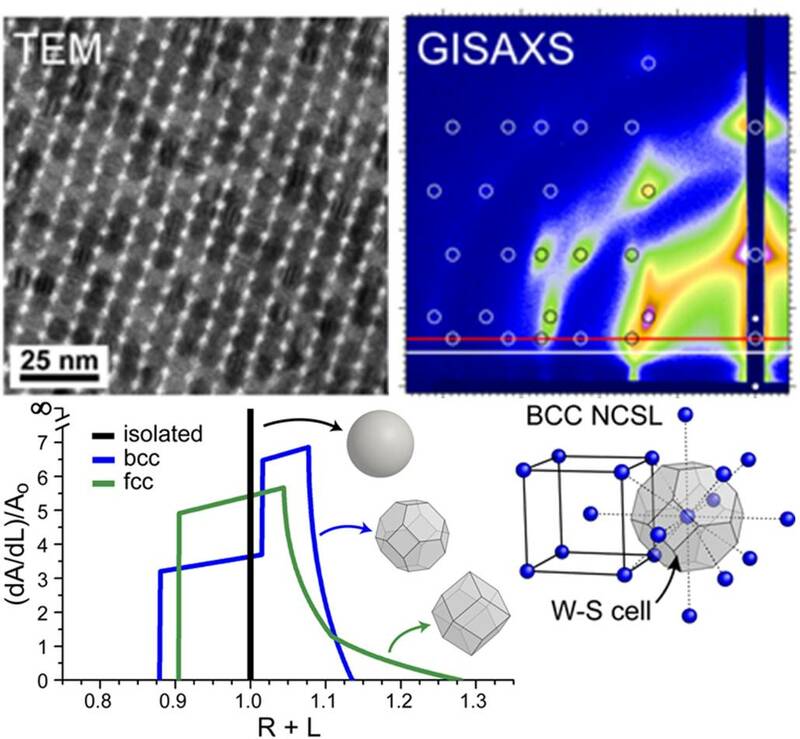 This work was done in collaboration with Dr. Smilgies at Cornell High Energy Synchrotron Source (CHESS) and was recently published in Langmuir and selected as an ACS Editors' Choice article. Interested in helping facilitate further research? Click below to make a gift to the Korgel Research Group. For more information, please contact Dr. Korgel.